For example, there’s a “paradiddle”. It’s called that because it’s kind of what the technique sounds like: par-a-didd-le. It’s a four stroke phrase that goes RIGHT- LEFT- RIGHT- RIGHT and then LEFT-RIGHT-LEFT-LEFT…par-a-didd-le. I never took the time to learn my rudiments. I mean, I know what they are – I can describe them – I can pick up a pair of sticks and bang them out slowly but I can not perform them instinctively. I have not developed the strength or muscle memory which makes it possible to deploy a paradiddle in a song and use it to make music, and I’ve recognized this limitation not only in my musical life, but in my life. It begins with the beauty of a thing attracting us. We see it, perceive it in it’s complete state and we experience a desire for it. We’re drawn to it like a moth to a flame. This motivates us to explore the thing. We unravel it to discover it’s goodness, it’s essence. We study it, deconstruct and analyse; we explore it’s component parts, we roll in it, taste it, smell it, consume it. Then a day comes when we realize we have succeeded in merging with the thing. We have uncovered the truth of it and we are changed because of it. We have obtained the intimacy which we desired in the beginning. The beauty of drumming drew me in. There’s something about the physicality of it. 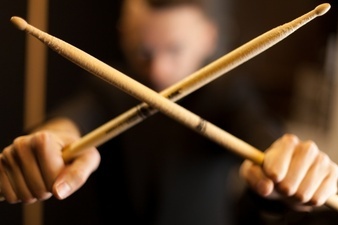 It’s unique among rock instruments – most bands have only one drummer; they’re special. 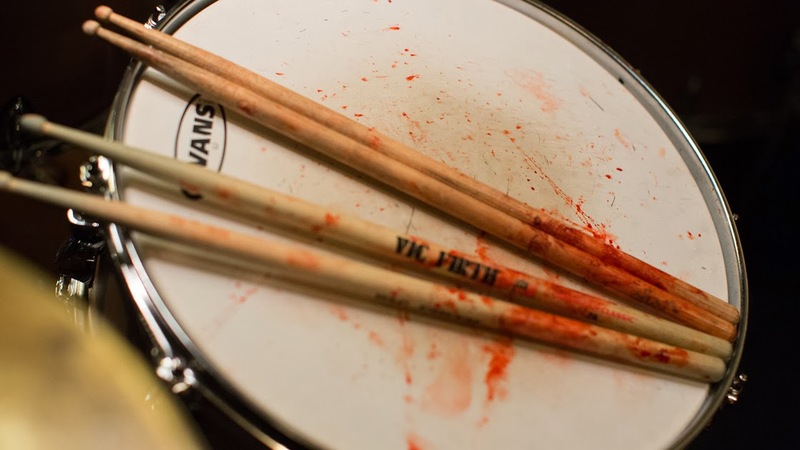 Drumming requires precision held in tension with violence. It’s like a marshal art. It MAKES people move…it has power. My older brothers (icons of “cool”) were drummers. What little brother doesn’t long to be like his older siblings? All these things and more comprise drumming’s beauty for me. But I skipped over goodness because I just wanted to get to the truth of it. I wanted the end without paying the means. I never took lessons (well, I took ONE…and he sent me home with a rudiment book!). I avoided the hard work. I skipped the rudiments and just began mimicking my brothers and the drummers I heard on records. Seismic forces have heaved some parts of this stratified pride/shame structure upward, and other areas have dropped. 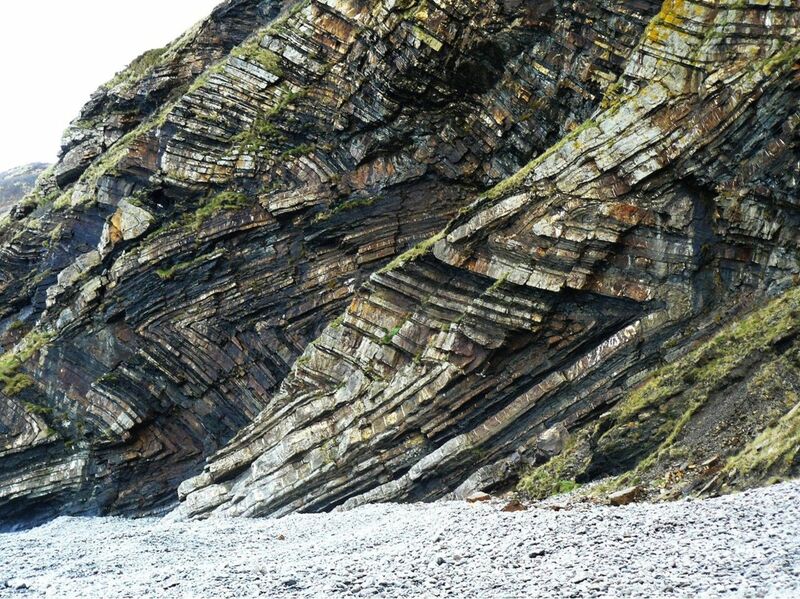 It has been cut through and pock-marked by wind and water revealing a complex topography like the multi-layered walls of a canyon. It’s impossible to discern which is which…just a jumble of pride and shame. And really they are just two sides of the same coin. Part of what has contributed to this erosion, what has raised my awareness of this topography, is a relatively sudden on-set of apathy when it comes to creating: writing, drumming…any artistic expression really. I’m just not inspired and I don’t know why. Why don’t I get tips and advise, I need them more than THAT guy? Look, I know I’m a nice guy. I’m easier to work with than many musicians. I can do the job in a “workman-like” manner. I prepare. I even show some natural talent. I listen to other players, I take an ensemble approach rather then just banging away trying to “show-off”. I think musically. I have strengths. There are reasons I get work as a drummer, but because I’ve never embraced the goodness of drumming, this is all I’ve become…and I have become bored. There are entire aspects of the truth which are out of reach for me, not because I lack desire. Not because I lack heart, but because I have not put in the work to uncover the goodness first. I think I’ve come to the end of where mimicry can take me. I’ve decided to go back and learn my rudiments. How much of music making is natural talent and how much is “rudiments”? Ah! An eternal question! My opinion is that its a blend unique to each musician. There are outliers on either pole, some who are brilliant technicians (Neil Peart) on one side, some with very little technique, but still brilliant on the other (Keith Moon). The other 90% of us sit in the middle somewhere. Thanks. Cordelia has a friend who says that if you only practice enough at something artistic (like playing an instrument), you can become a master player. I tend to doubt this theory. There is something to be said for natural talent. Isn´t Neil Peart arguably the best rock and roll drummer of all time?